Now there was a certain man in Caesarea (Acts 10:1). Caesarea Maritima was a very Roman city. 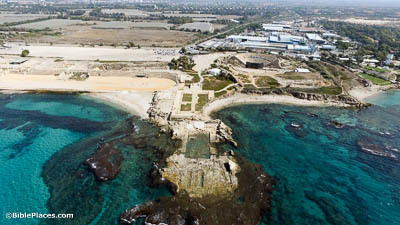 After the removal of Herod’s son Archelaus in AD 6, Rome annexed Judea to the empire and Caesarea became the main port and administrative capital of the Roman province, including the seat of the Roman procurators. 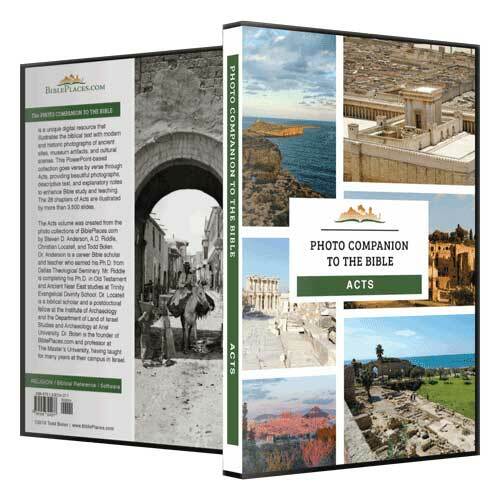 Now there was a certain man in Caesarea, Cornelius by name, a centurion (Acts 10:1). 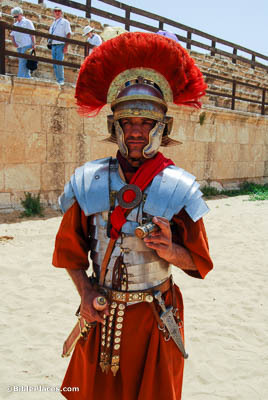 This costumed actor was part of an event in the “Roman Army and Chariot Experience” held in the hippodrome in Jerash (biblical Gerasa). His crested helmet is a sign of his rank as a centurion, as is the silvered armor. The outfit of this actor is approximately how a centurion would have dressed in the mid first-century AD. And now send men to Joppa and send for a certain Simon, who is called Peter (Acts 10:5). Travel from Caesarea to Joppa could have taken place either overland or by boat. 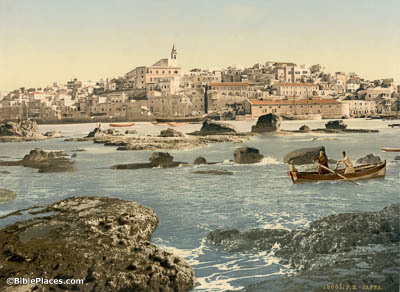 This picture (taken in the 1890s) shows the perspective that many visitors had when they arrived to Joppa by boat. And on the next day he entered Caesarea (Acts 10:24). 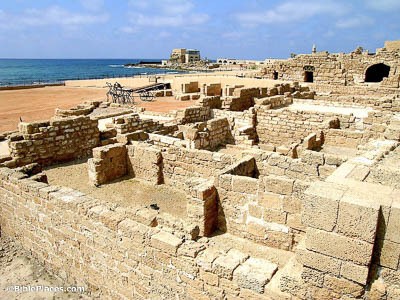 Most of the structures of Caesarea are built with local Kurkar stone, so the material shown here is what Peter would have seen as he entered the city. In all likelihood, Cornelius’s home was made of the same. Cornelius was waiting for them, having called together his relatives and close friends (Acts 10:24). To judge from the number of people gathered there, Cornelius’s house was large, like the one shown here. 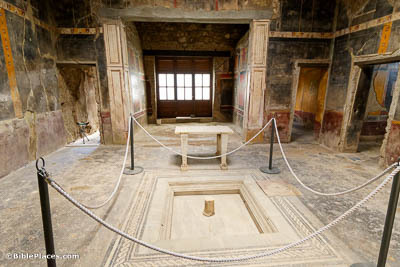 This first-century AD home in Pompeii is in a much better state than any comparable structure in Israel, thanks to the unique way in which the city was destroyed.